This is the kind of support Freewheels Houston, a ministry of Christ the King Lutheran Church, seeks to offer its new neighbors. Launched in 2015 by Bill Mintz, a retired journalist and member of Christ the King, the project provides free bikes to refugees settling in Houston. It’s a way for the congregation to put “faith in action,” said their pastor, Duane H. Larson. “We’re all committed to welcoming a stranger,” Mintz said. And in this case, welcome meant noticing a need and meeting it. In recent years, refugee resettlement has commanded national attention, Larson said. In 2015, Houston received more refugees than any other U.S. city, according to Refugee Services of Texas. Houston’s size makes it hard to navigate via public transit alone, he said, which makes commuting to a work a challenge. And financing a car or bike takes time. Sheiko said his free bike helped him get to work, get exercise and pick up groceries while saving for his car. Freewheels Houston collects bike donations, volunteers repair them and then the refurbished bikes are distributed to Houston’s newest refugees in partnership with local organizations. 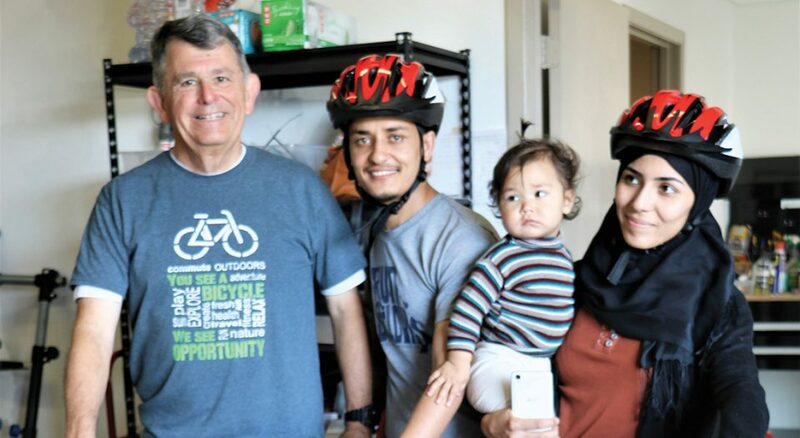 To date, about 300 refugees and others in need have benefited from Freewheels Houston. Freewheels Houston began as a small program administered by Christ the King and members of the local bike community. Today volunteers come from across Houston. Christ the King members continue to volunteer and donate bikes or monetary gifts. The program also has a strong network of regional partners, including BikeHouston, Refugee Services of Texas, Interfaith Ministries for Greater Houston, Bike Barn, Rice Bikes and the Texas Medical Association. Looking toward the future, the program’s leadership is making a concerted effort to work with youth, Mintz said. Through PAIR (Partnership for the Advancement and Immersion of Refugees), which provides an after-school program for refugee youth, it gave away 15 bikes in December. In March, the program donated bikes to youth at a Houston congregation that got its start in a refugee camp in Ethiopia. The leadership is also always looking for new volunteers. 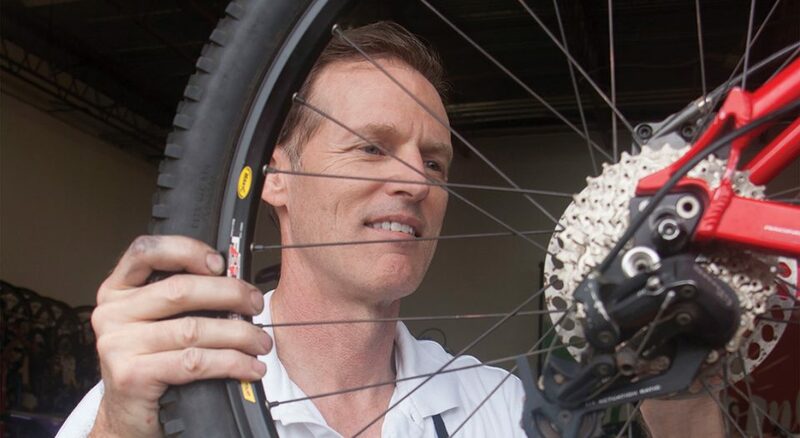 Whether they’re experienced mechanics or not, “we’ll put people to work,” Mintz said. Some of those volunteers may just be participants of this summer’s ELCA Youth Gathering, he added. Barnes is a Tampa, Fla.-based freelance writer.